Julian Benjamin Bailey, Sr., age 87, of Keysville, VA passed away peacefully at his home on Monday, June 4, 2018. He is survived by his wife, of 67 years, Gerry W. Bailey; a son, J.B. Bailey, Jr. and wife, Janet; three grandchildren, Jill Keen (Brandon), Carrie Dorris (Brad), Leslie Gibson (Scott); six great-grandchildren; two brothers, Cephus Bailey (Juanita), Verlian Bailey (Shirley); and a sister in law, Lois Bailey. Julian is preceded in death by his parents, Bud and Molly Bailey; one brother, Lewis Bailey. Julian was a dedicated member of Ontario Christian Church, a U.S. Army Veteran of the Korean Conflict and was a barber in Halifax County for 45 years. 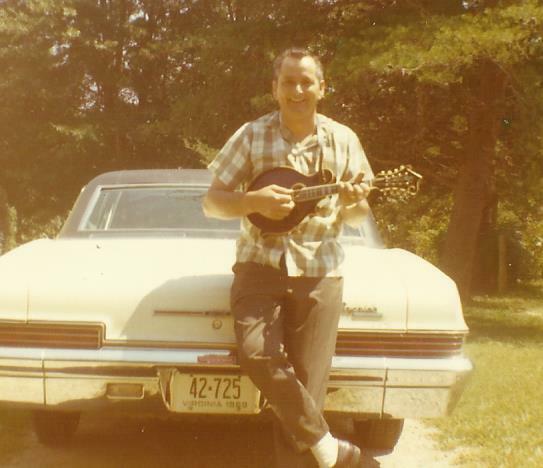 He was a bluegrass musician, initially playing with his brothers, then regionally with hundreds of others playing at nursing homes, concerts, churches, and whenever anyone was willing to play. A funeral service will be held at 1 p.m. Thursday, June 7, 2018 in the Ontario Christian Church, with interment to follow in the church cemetery. The family will receive friends at the church from 6 to 8 p.m. on Wednesday, June 6, 2018. In lieu of flowers, contributions may be made to the Ontario Christian Church Cemetery Fund. We would like to thank everyone for your prayers and acts of kindness shown our family during Julian’s illness. The Browning-Duffer Funeral Home in Keysville, VA is in charge of the arrangements. I am so sorry for your loss, Carrie. I know the pain of losing a beloved grandfather. I will pray for you and your family. Sorry for your loss , may God hold you close an heal your hurting heart . RIP Julian ! To all the family : My condolences , Julian was a good man , an asset to the community , I have know him a long time . be there. My love to all of you. Prayers for family & friends. Rest in Peace. We all love Julian & we surely miss him! He is in good hands. Such a nice man….Great Barber ! !